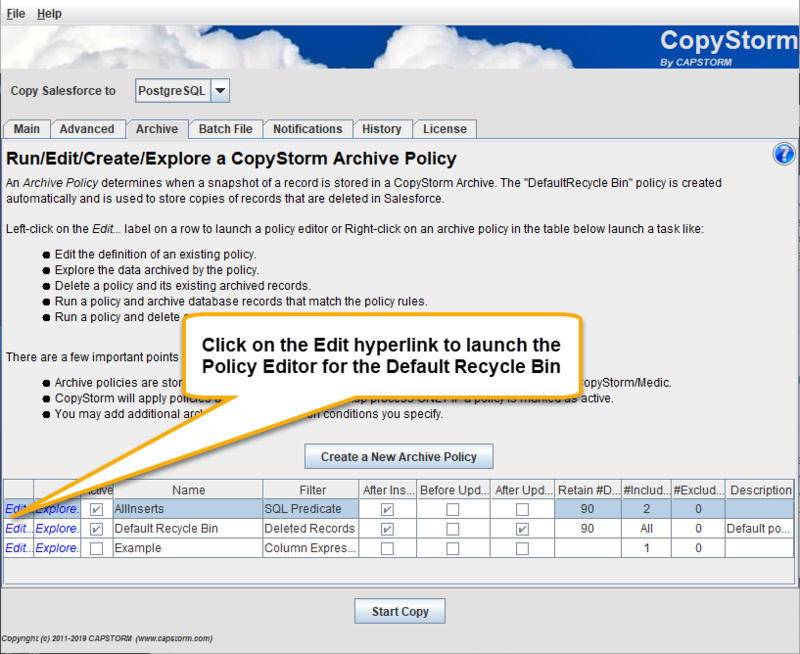 By default, CopyStorm has a single archive named the Default Recycle Bin. 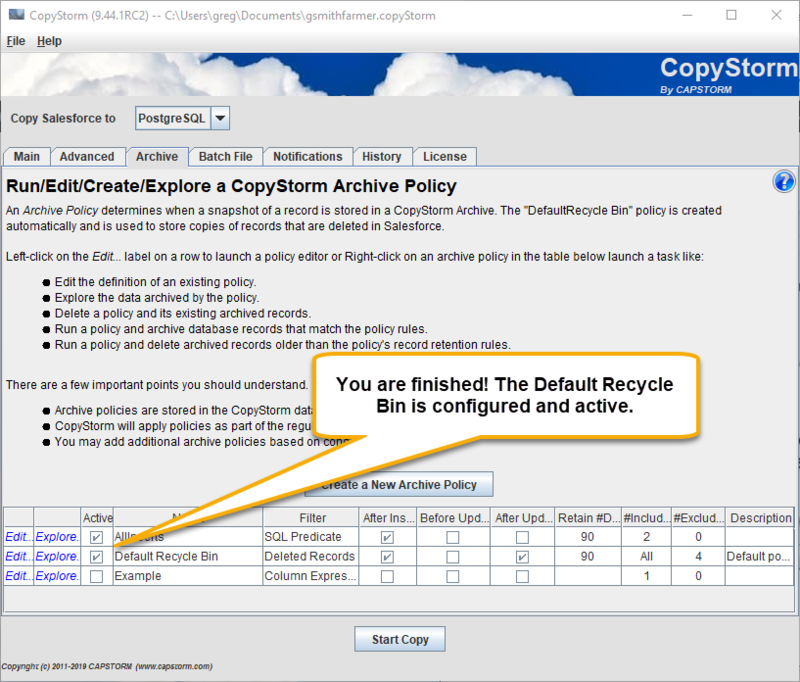 The Default Recycle Bin is a regular archive, implemented using the same features available for custom archives, with a few limitations. The name of the Default Recycle Bin cannot be changed. The filter used by the Default Recycle Bin cannot be changed. By default, the Default Recycle Bin is not enabled and you should make a few decisions before enabling it. 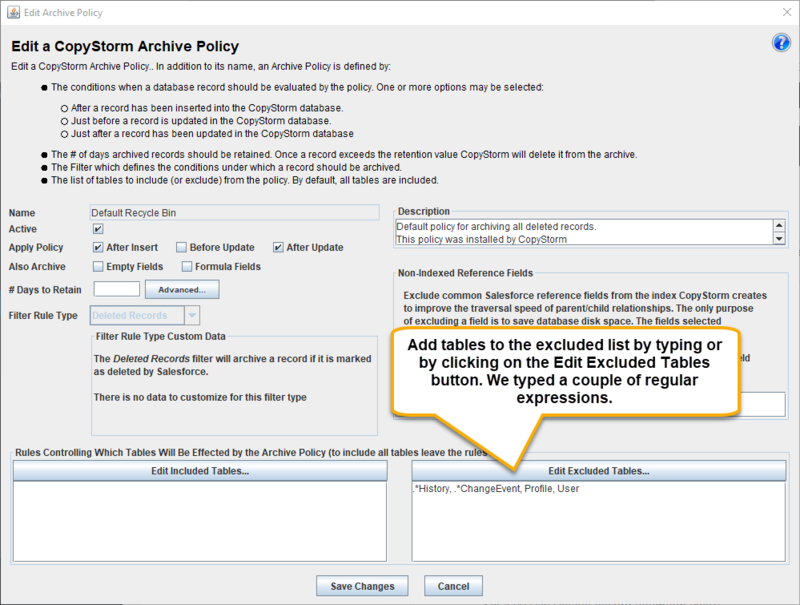 Do you want to restrict the tables where the recycle bin is used? How many days do you want to keep records in the recycle bin? 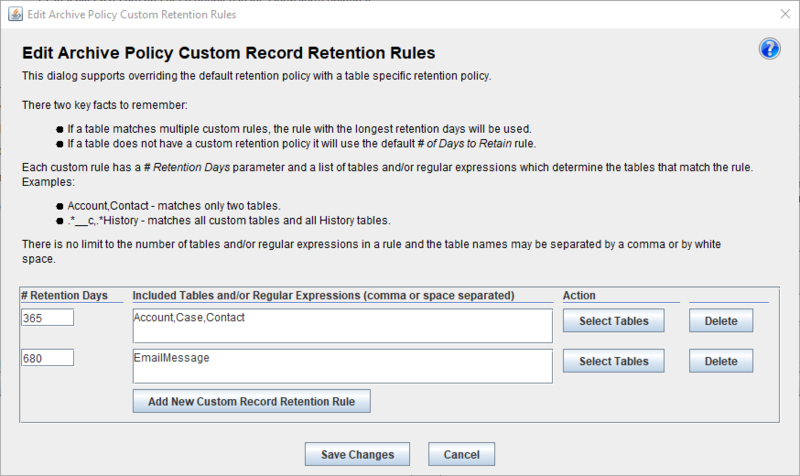 Do you want to keep records from some tables longer than others? 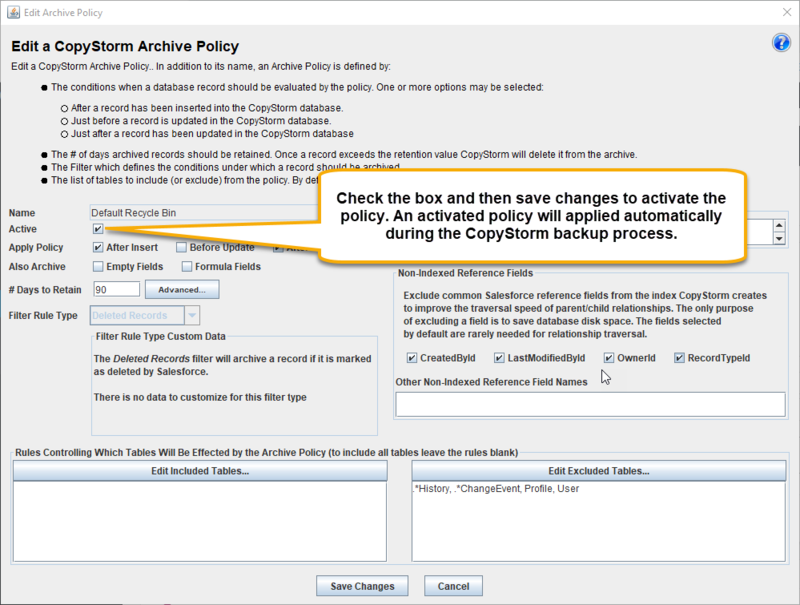 Once you have made these decisions and applied them to the Default Recycle Bin, simply enable the archive and CopyStorm will automatically manage the Default Recycle Bin as part of a backup. Prior to setting up our recycle bin, we have made the following choices. 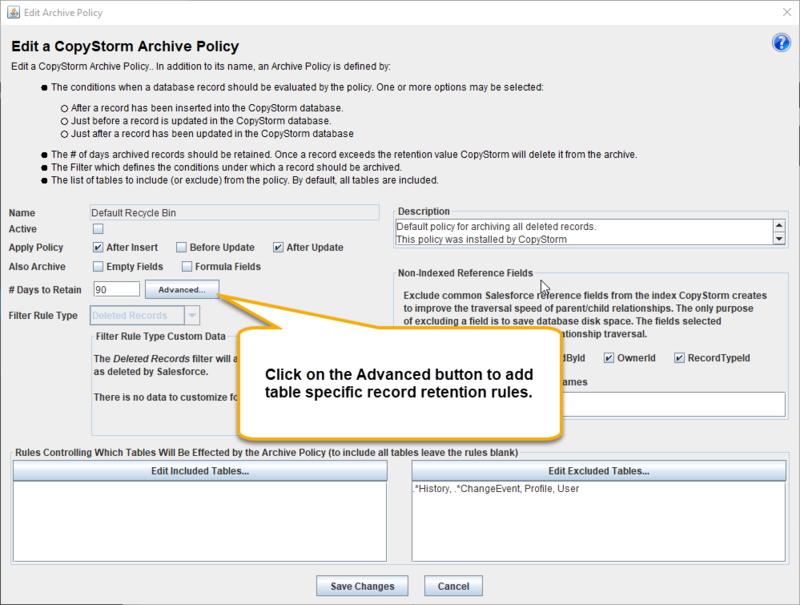 All tables except history and change event tables will be managed by the Default Recycle Bin. 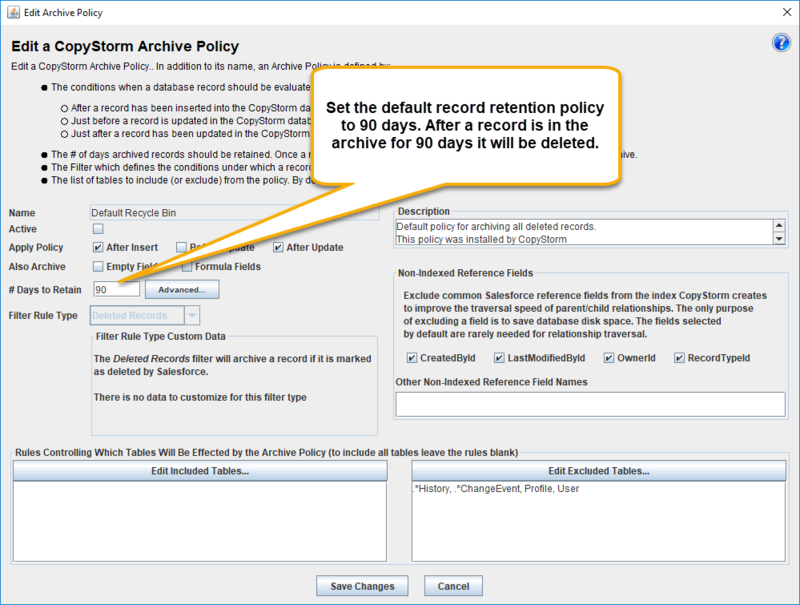 The default retention period for a record will be 90 days (after 90 days a record will be deleted from the archive). EmailMessages should be retained for a two full years. Accounts, Contacts, and Cases should be retained for a full year. Congratulations! You have successfully setup the Default Recycle Bin.